Earth Day 2017. LCBA members Cindy Robinson (l) and Pat Rizenbergs at the LCBA display table. 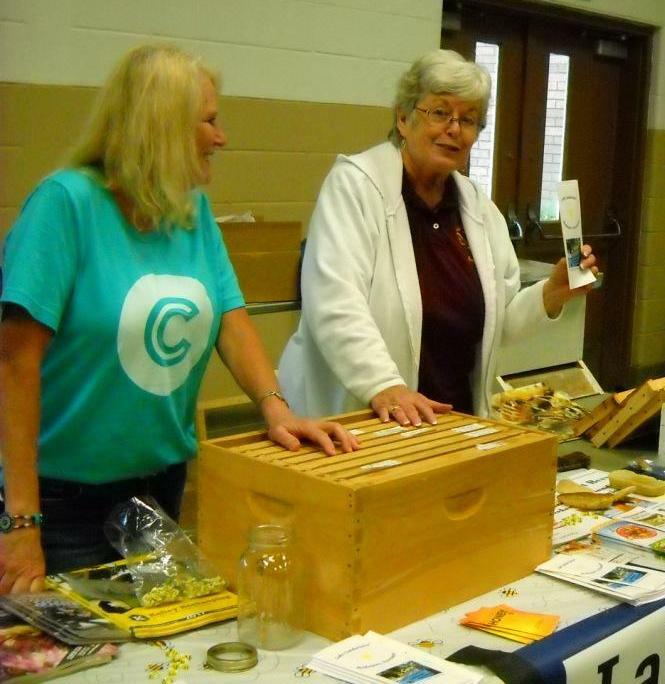 They had plenty of information to share with visitors about bees and beekeeping, including the LCBA teaching hive and a hive box filled with frames in various stages of development. They even had a real frame of honey on hand to give visitors to the display an idea of just how much honey bees store in their hives.